Many people do not trust their tap water and will opt for purified water. Buying bottled water can be costly. 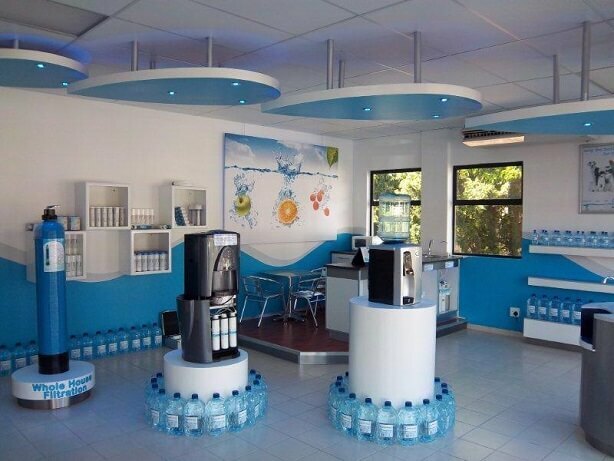 Our concept is the sell bottled water (from your Water Bar), but also offer a refill service where consumer can bring back the bottle and refill. This is the eco Friendly way to buy bottled water, reducing your carbon footprint by recycling and re using your plastic bottles. 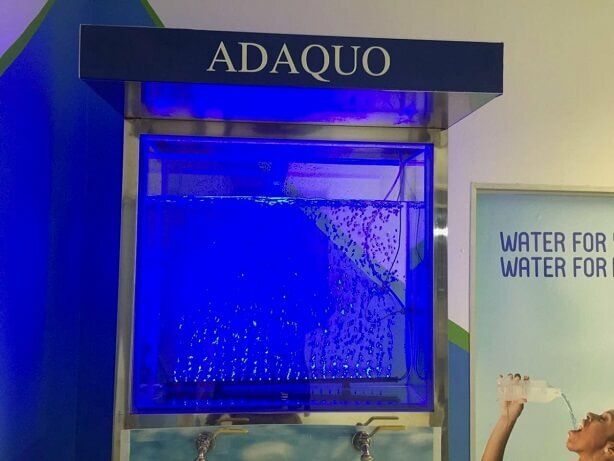 Who should be interested in the water bar? Our target markets for the water bar are entrepreneurs starting out in the water business with limited capital. This is ideal for grocers, garages and convenience stores; in fact any shop can have this installed. We offer installation and maintenance. It is a reverse Osmosis System purification system connected to a glass tank. The glass tank has a tap and is used to dispense water. 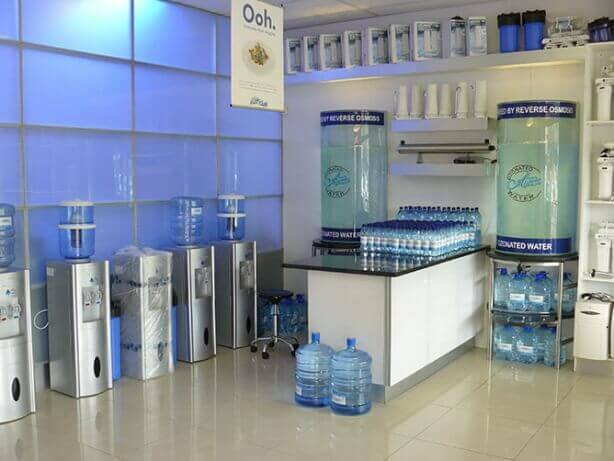 This water can be sold per liter, or if you are a business that wants to offer pure water to your clients and staff, just set up a communal area..